What then, does it mean to be a Christian? On July 22, 2011 in Oslo, Norway, a deranged Anders Behring Breivik carried out a mass shooting at a summer camp, killing 69 people, mostly teens. He also killed eight people through a series of bombings around government buildings in Oslo that preceded the mass shooting. In the aftermath of the crime it was discovered that Breivik’s heinous actions were politically motivated. A 1,500-page manifesto revealed the depravity that fueled such cruel and unthinkable horrors. In this manifesto he, rather unfortunately, describes himself as a Christian. His own words explain what he means by the label “Christian”: “If you have a personal relationship with Jesus Christ and God then you are a religious Christian. Myself and many more like me do not necessarily have a personal relationship with Jesus Christ and God. We do however believe in Christianity as a cultural, social, identity and moral platform. This makes us Christian.” For some, the term “Christian” is flexible beyond the term’s original meaning. What then, does it mean to be Christian according to the New Testament? I have given this much thought recently and have narrowed down four characteristics necessary to be a Christian in the New Testament sense. 1) Being Christian is an individual distinction. For some, the term “Christian” is a cultural trapping based on geography. If you were born in India, you are a Hindu. If you were born in Tibet, you are a Buddhist. If you were born in Saudi Arabia, you are a Muslim. If you were born in graduate philosophy class, you are an atheist. According to this reasoning, your religion and your culture are synonymous. If so, Christianity might be genetic. Your parents were Christians, therefore you must be a Christian also. However, being a Christian, as the Bible explains, is an individual experience. John 1:12 says, “As many as received Him, to them He gave the right to become children of God.” This receiving cannot be done by groups; rather, it is an individual event. 2) Being Christian is an experience. For some being Christian is membership in a religious group. Joining the First Baptist Church does not make someone a Christian. Being initiated into all the rites of the Roman Catholic Church does not make someone a Christian. The Apostle Paul writes in 2 Corinthians 5:17, “If any man is in Christ, he is a new creature; the old things passed away; behold, new things have come.” This represents quite a change. It is certainly more than joining the membership of a religious organization or attending a religious meeting. Jesus described it in the book of John as “being born of the spirit.” Being a Christian means undergoing a deep spiritual change. In other words, something happens. A person might not be able to explain what happened, but they know something happened. 3) Being a Christian means believing in the physical resurrection of Christ. Believing in a resurrection presupposes that Jesus lived. That Jesus lived is accepted by almost all reputable scholars. That he rose from the dead, three days after his crucifixion, is the major issue that separates Christians from non-Christians. The late Christopher Hitchens once remarked, “I would say that if you don’t believe that Jesus of Nazareth was the Christ and Messiah, and that he rose again from the dead and by His sacrifice our sins are forgiven, you’re really not in any meaningful sense a Christian.” While Christopher Hitchens never embraced Christianity, he certainly understood what it entailed. 4) Being a Christian means following the example and teachings of Christ and His apostles and prophets. In the Sermon on the Mount Jesus says, “Not everyone who says to Me, Lord, Lord, will enter the kingdom of heaven; but he who does the will of My Father who is in heaven” (Matthew 7:21). What is the will of the Father? To start, Christians are to follow the example and teaching of Jesus Christ. They should follow not only Jesus, but His apostles and prophets as well. These teachings should inform the Christian how to make sense of the world. People who call themselves Christians and yet live outside of Christ’s instruction are either deeply confused or deluding themselves. Living the changed life begins with submission to the One who changed it. Mr. Breivik does not fit any of these criteria for what the New Testament teaches about being a Christian. We can only pray that he learns that Christianity is much different than he has conceived. He is not the only one who misunderstands what it means to be a Christian. It is our job to show people around us what being a Christian is all about. The eye of the needle is not the loop of a needle. 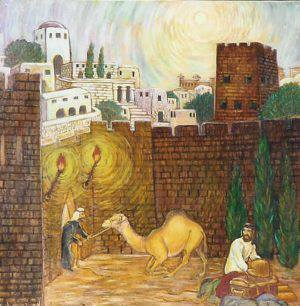 The eye of the needle was a small gate in one of the walls around Jerusalem. In order for a camel laden with various goods to get through the eye, the camel had to be unburdened and the goods removed. Only then the camel could pass through the tight fitting gate. Here, Jesus is not saying that it is impossible for every rich person to enter into heaven. He is saying that the rich person must hold their goods loosely, and be willing to lay them down when necessary. The valley of the shadow of death is a real place. 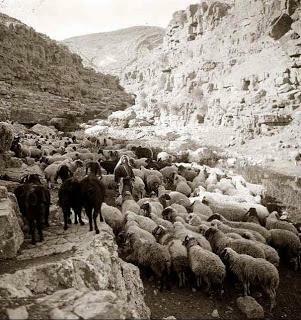 It is along the road going down from Jerusalem towards Jericho, which is located in the Jordan River Valley. It is still there today. It is a steep, winding road, with rocks and a huge cliff on the right side. Shepherds would walk in the deep valley below, in order to get from one place to another. How many times have we spent hours, days, or weeks of our lives fearing what we thought was a raging predator when it was only, in fact, a furry rabbit? Chances are, the thing that you are dreading right now is merely only a shadow. F.E.A.R. is an acronym for FALSE EVIDENCE APPEARING REAL. Jesus is not an accuser. He did not come to condemn. The story of the adulteress in John 8 makes this very clear. The Pharisees bring a woman to Jesus and tell Him she has been caught in the very act of committing adultery. 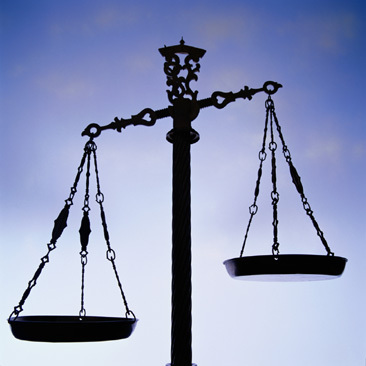 Jesus responds brilliantly – in a way which not only honors the Jewish law, but also illuminates the freedom from sin that is granted through – and only through – Jesus Christ. He does not excuse the woman’s sin, but He challenges the Pharisees, urging them to acknowledge and address their own sin before condemning others. Jesus is not an accuser. He did not come to condemn. Yet so often the church community tries to make Him out to be an accuser – not because it is in His nature, but because it is in ours. We all (yes, even Christians!) are naturally predisposed to condemn others while ignoring our own faults. Quite often, we even condemn others and claim to do it in the name of Christianity, religion, or even Jesus Christ Himself. Yet Jesus Christ showed mercy to sinners – to those who needed forgiveness the most. 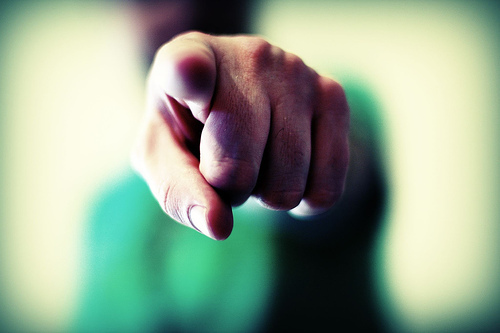 In fact, the only people Jesus makes a point of accusing are the Pharisees. Some honest self-reflection might prompt this question: have some of us become accidental Pharisees? Have some of us become so caught up in pointing out the sins and faults in other people that we have taken on a prerogative that we were never meant to have? 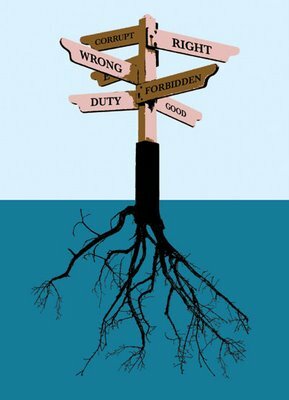 Has the Christian community become so self-righteous that we have taken on a supposed responsibility that Jesus Himself would not even assume? There is complete freedom in Jesus Christ. A genuine relationship with the Son of God should not revolve around feelings of guilt and condemnation. Similarly, a genuine church community should not focus on making you feel guilty and condemned. Yes, Jesus’ final command after pardoning the adulteress in John 8 is paramount: “Go and sin no more.” We should never ignore Jesus’ command not to sin. However, we should always make others aware of this command with love, and without condemnation. Most importantly, we should recognize that His command applies to all of us – including you, and including me. Jesus is not an accuser, and neither should we be. John 3:17: For God did not send His Son into the world to condemn the world, but that the world through Him might be saved. 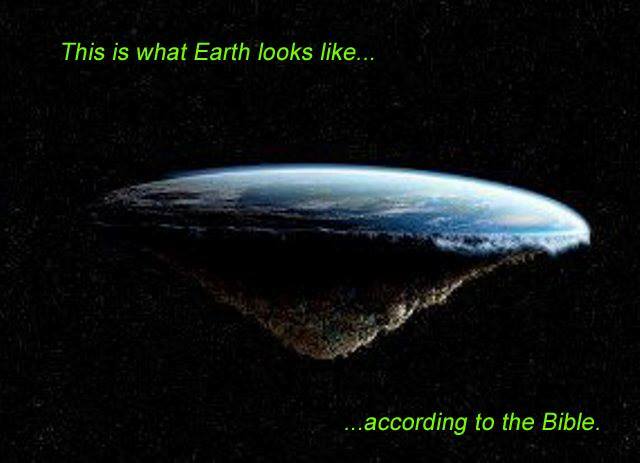 Many believe that the Bible teaches that the earth is flat (or a flat disk). However, there are a number of Scriptures that indicate a spherical earth. These Scriptures were penned centuries before a spherical earth was confirmed by scientists. Isaiah 40:22 states that God “sits above the circle of the earth.” While there is no Hebrew word for sphere, “khoog” which is translated circle, circuit, compass is the closest. Because God is omnipresent, He looks down upon the earth from every direction. Therefore, from God’s heavenly perspective – looking down upon the earth from every location – the earth would appear round from every perspective ONLY if it were a sphere. If the earth were a flat circle for instance, then from most angles the earth would appear as an oval or even a straight line (if perpendicular to it). Therefore, Isaiah 40:22 indicates a spherical earth. Luke 17:34-36 also implies a spherical earth. Jesus said that at His return some would be asleep at night while others would be working at daytime activities in the field. This is a clear indication of a revolving earth, with day and night occurring simultaneously. In addition, Job 26:7 explains that the earth is suspended in space, the obvious comparison being with the spherical sun and moon. See also Job 26:10 and Proverbs 8:27. The Bible is the Creator’s Word so it is not surprising that recent scientific discoveries are confirming what the Creator has said for millennia. “For the word of the LORD is right, and all His work is done in truth” (Psalm 33:4). This is a piece of matzo bread that you can get at any deli in New York City. At CityLight, we use it for our communion celebrations. 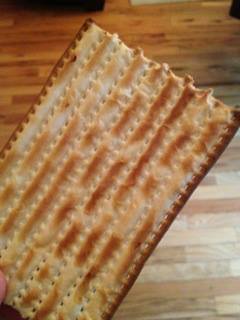 Notice 3 things about the matzo: it’s pierced, burned, and striped. This is a prophetic picture of what Jesus did for us at the cross. He was pierced for our iniquity, the fire of God’s just wrath fell on Him instead of mankind, and He was striped by the Roman guards. By His stripes we are healed (Isaiah 53:5). The redemptive story of Jesus is hidden for us in a piece of unleavened bread! 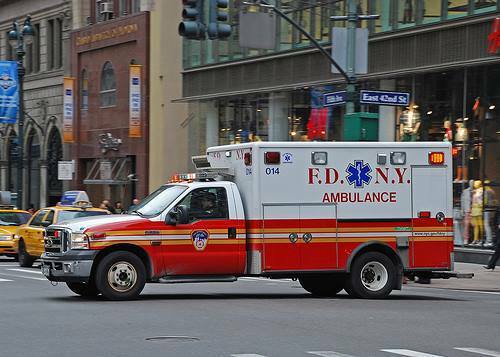 This is a photo of a typical NYC ambulance. The most visible symbol on it is the serpent wrapped around a pole. Take a look next time an ambulance passes you by or you are visiting someone in the hospital. The serpent on the pole is everywhere. This symbol is associated with the medical profession and is used on ambulances and hospitals all over the world. Why? Numbers 21 recounts how the children of Israel were dying after being bitten by venomous snakes. Moses was instructed by God to make a brass serpent, set it on a pole, that whoever looked upon the serpent would be instantly healed of the venom. This was a real event that literally took place, but it also served as a symbolic foreshadowing of the real saving power that came through Jesus’ crucifixion. The snake represents sin, and the snakebitten person is like a lost person who is dead in their sins. Those bitten by the serpents needed a Savior. Jesus Christ became sin for us when all our sin was placed upon Him on the cross. He became like the brass serpent. To look at the serpent on the pole is more than a mere a glance. It means “to fix your eyes upon and consider”. So consider His great love and what He did for you today. It will heal and cure you: spirit, soul, and body. Jesus is extreme. Here was a Man who descended into society and claimed to be the Son of God. He spent His life teaching that anyone who gave him or herself over to worshipping Him would have eternal life. Jesus is extreme, and there is no way around it. When we encounter Jesus Christ, we must choose between one of two extremes. We can either accept Him and believe that He was fully Man yet fully God – the Son of God and the Savior of all mankind – or, we must pass Him off as a self-centered fanatic and a lunatic. The problem we find ourselves in today is trying to embrace some sort of middle ground that does not exist. We say things like, “Jesus was a great teacher, and a good role model,” but we resist drawing the necessary conclusion that He was the Son of God. We look to embrace and cultivate our ‘spiritual side’ without having to make a decision about Who Jesus Christ really was. We must make a choice when it comes to Jesus Christ. You must either believe Him, or reject Him. There is no passive acceptance, and there is no middle ground. Which extreme will you choose? 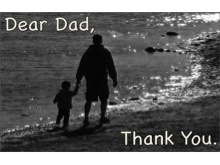 Father’s Day is this Sunday, June 16th, 2013. 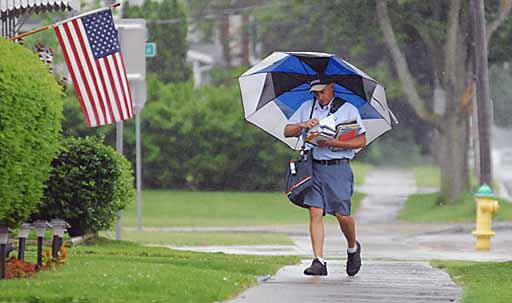 Father’s Day doesn’t seem to get the same fanfare that Mother’s Day does. Fair enough. Mothers are a tough group to compete against. I mean, they gave birth to you. How can a father hold a candle to that? While fathers haven’t carried children for nine months or given birth, they are important in the emotional development of their children. The importance of fatherhood is often overlooked in our culture. Part of that has to do with the images on television. Fathers have taken a beating on the television the last two decades. Think about the last admirable television father you can remember. What decade was that? Fathers, when they are shown, tend to be portrayed as passive dopes. Peter Griffin and Homer Simpson stand as the worst archetypes of this dark vision of fatherhood. During the 1950s, fathers such as Robert Young, on Father Knows Best, and Ward Cleaver, were revered paragons of wisdom. During the 1960,s the inimitable Fred McMurray carried on the tradition with My Three Sons. Of course, this will be our first Father’s Day without the wise yet warm Andy Griffith. The 70s was another good decade for dads. Howard Cunningham was the hard working, sensible, loving father of Happy Days. Mike Brady fathered television’s first blended family as another hard-working, hard-loving family man. Television fathers took a downward turn during the 1980s. Bill Cosby and Family Ties’ Steven Keaton were good role models while being the occasional brunt of the joke­­­­. Who’s the Boss showed a good family man in Tony Danza. He was responsible and engaged even if the punch-line was aimed at him. Bob Saget in Full House was a loving buffoon. The big change in the 80s was that fatherhood became goofy while television mothers filled the role of wise and sensible leaders of the home. The 1990s brought fatherhood to new lows with Al Bundy, Homer Simpson, and Frank Barone (Everybody Loves Raymond). Married with Children was probably the worst thing to happen to the American family since no-fault divorce laws. Al Bundy did not have one redeemable quality. Homer, while being one of the funniest fathers, perpetuated the low expectations of the “new” fatherhood. Today Homer Simpson doesn’t even compare with Peter Griffin (Family Guy) or Stan Smith (American Dad!). I don’t share this to reminisce a bygone era. Our culture has forgotten the importance of respecting fatherhood. We shouldn’t be surprised that so many of our men rise no further than a low expectation. While television has not provided many good examples, I am encouraged by the many good fathers I know. These fathers ought to be celebrated. I read an article a while back that compared the role of fathers in the lives of several notable theists and atheists. The article pointed out that many of these atheists grew up with abusive, neglectful, or absentee fathers. That is not to say that all atheists had bad fathers. By contrast, the theists, who were mostly Christians, were raised almost exclusively by warm, loving, and present fathers. This is not to say that all Christians have or had good fathers. While this is hardly a scientific analysis, it does lead us to ask: what role does our earthly fathers play in forming our view of our heavenly Father? I thank God for my father. He gave me my strong work ethic, my rabid curiosity, my love for books, and my sharply honed sweet-tooth. Many of my best qualities as a man and a father come from him. I hope you can say something similar about your father. My favorite television father? Redd Foxx as Fred Sanford in Sanford & Son! God does not always give us all the information. He doesn’t always tell us exactly how everything is going to turn out in advance. We can, however, still be 100% sure that He works all things together for our good when we love Him and are called according to His purpose (Romans 8:28). How do we know this? If you are a Christian, you have your own personal experience. We also have the testimony of others. If God has brought us out of a difficult situation before, He will do it again – always, and without fail. Circumstances change and new difficulties arise, but our God and His Word do not change (Hebrews 13:8). Whether you are going into a tough situation, coming out of a tough situation, or right in the middle of a tough situation, rest assured that God will work it out for your good.